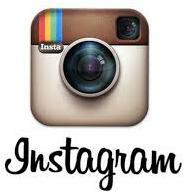 Feedback: 195 comments - leave yours! 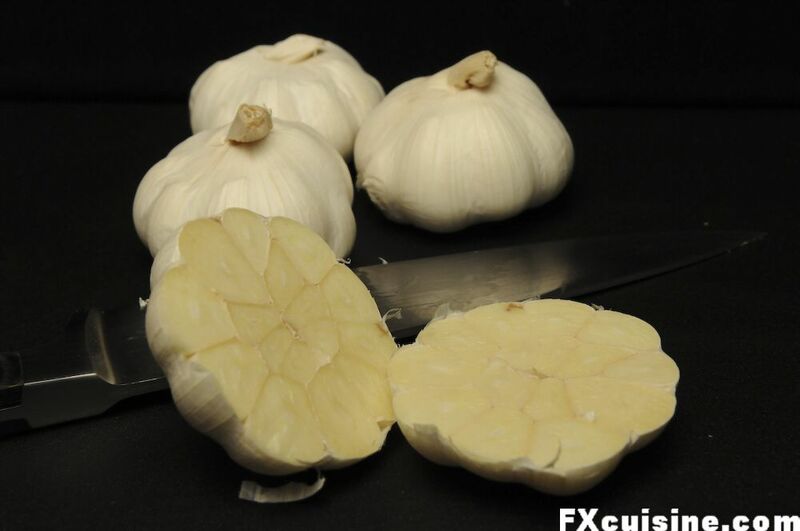 I found this healthy French garlic soup in the Larousse de la cuisine des familles, presented as a family recipe from a Provence mama. 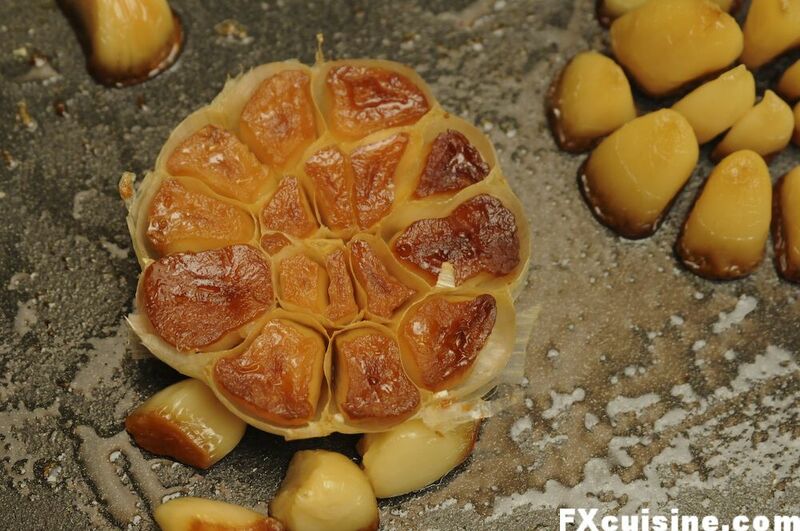 Wicked way of roasting whole garlic heads. 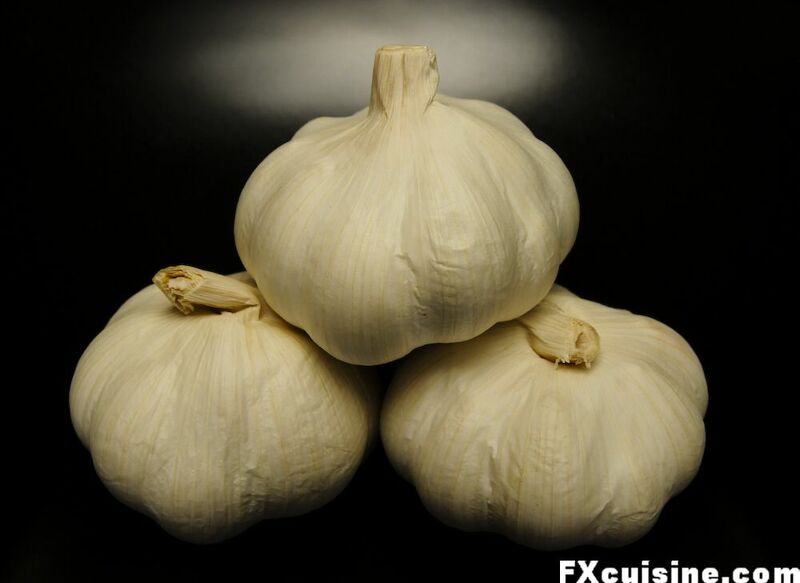 Start with 4 garlic heads - 1 per guest as a light main course. Cut each head in half but don't peel. 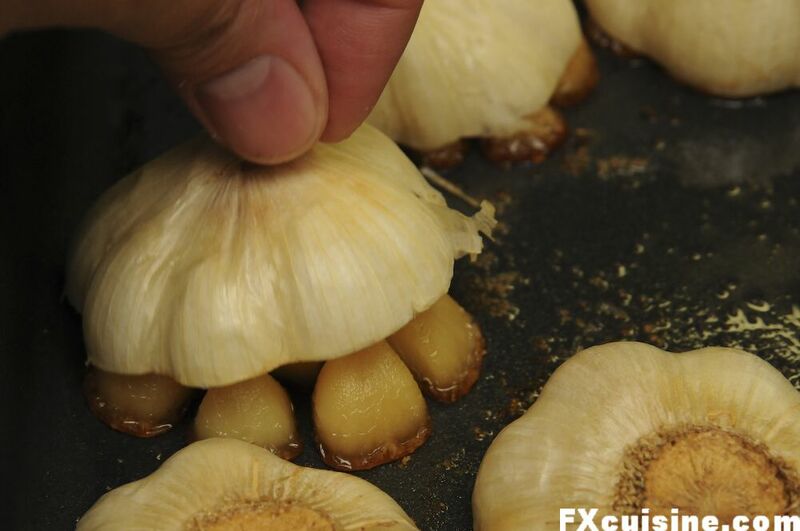 Pour a large glass olive oil inside an ovenproof dish and place each half garlic head flat in the oil. 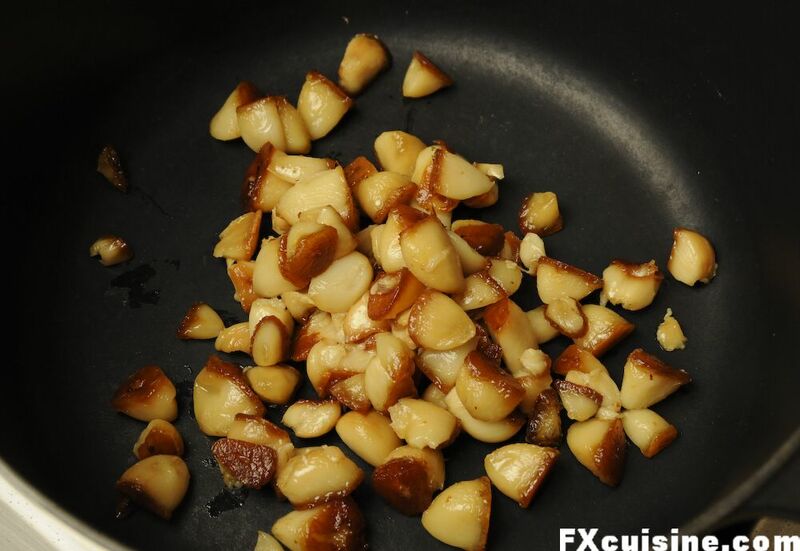 ... and free the remaining half-cloves. 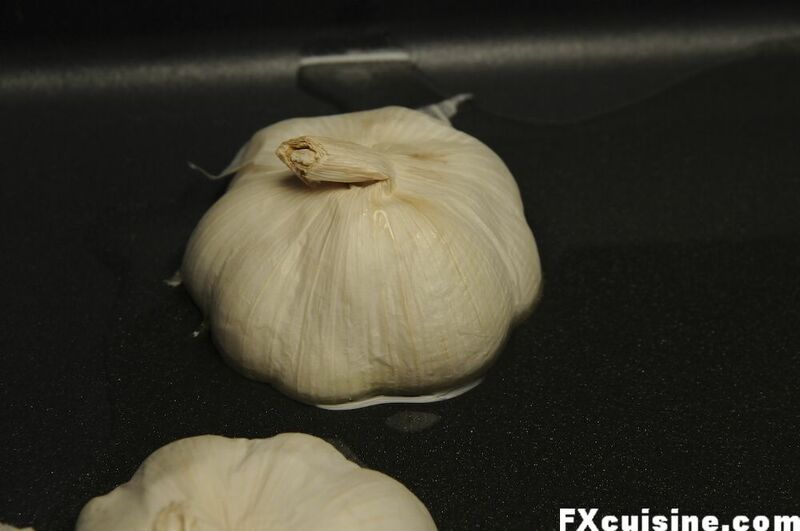 The bottom halved will require some help with a pointed half to free the half garlic cloves. 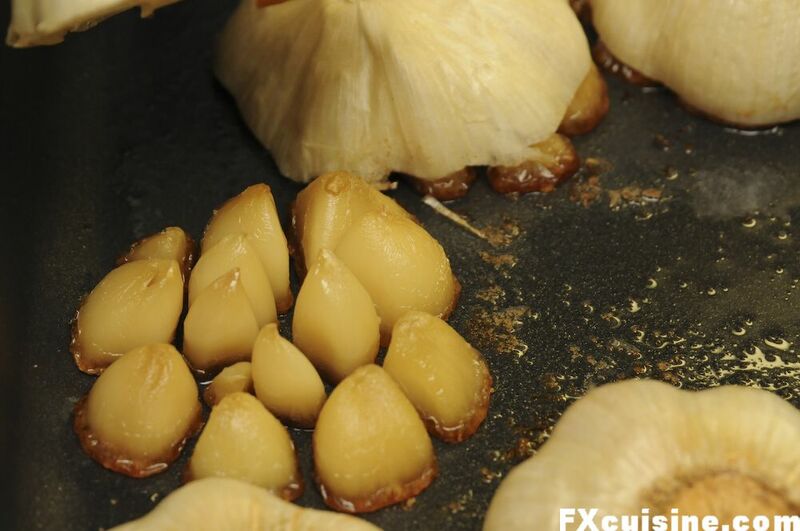 Place all the garlic cloves in large pot.